Garry is a senior executive in the personal injury department. He undertakes claimant work involving public and employer’s liability, as well as more complex or contentious road traffic accidents and trips and slips – he has amassed a wealth of specialist knowledge concerning claims against the Motor Insurers’ Bureau. 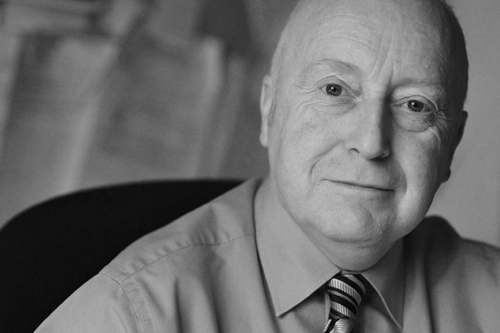 With extensive experience of working both with claimants and defendants, Garry has a very rounded approach to his work. He has also worked in the areas of general litigation and matrimonial law and this experience has helped him cultivate an ability to empathise and engage well with his clients. Before joining George Ide LLP, Garry gained experience working with a top London defendant firm and spent many years working with recognised firms on the South Coast. At George Ide, Garry deals with difficult cases where resolution is sought in robustly-contested liability arguments. He handles work of varying values, although to a large degree he concentrates on medium-value claims. He has handled cases resulting in the passing of new laws and successful Court of Appeal decisions, cases relating to disease and occupational health, and significant claims relating to Benzodiazepines. He has developed a niche reputation for taking on cases in which clients have been poorly served by previous lawyers, bringing them to a successful conclusion. Garry also holds an important compliance role within George Ide, and has assisted in securing the valued Lexcel Quality Assurance Award for the firm. He has received many recommendations from clients who have appreciated his calm, confident and approachable style. Parish Clerk and Responsible Financial Officer, Eastergate Parish Council. Garry is also honorary secretary & treasurer to a village hall charity. Office: Lion House, St Pancras, Chichester. From the first meeting, Mr Garry Sleet was friendly, approachable and professional, with many years of experience behind him. He has been in constant communication with me throughout the claim and I was kept informed of all progress as it happened. I am so happy and can't thank him enough for everything he has done.